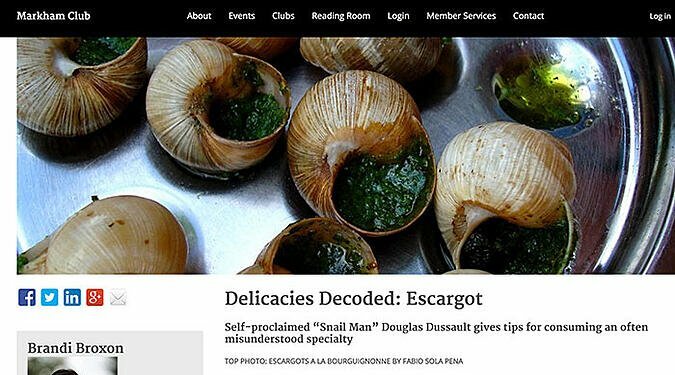 One of those delicacies requiring decoding is escargot (French for snail), an often misunderstood and majestic cuisine on the fast path to acceptance. Evidence suggests snails have been consumed since prehistoric times (Prehistoric Edible Land Snails in the Circum-Mediterranean : The Archaeological Evidence) and have been referred to as an “elite food” in varying cultures including Ancient Rome. 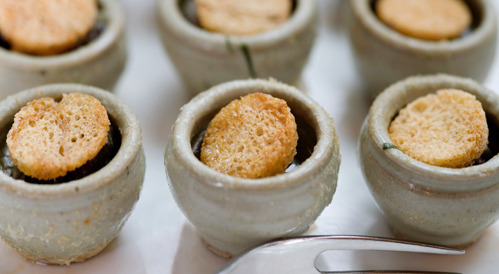 “These are the Kobe beef of snails,” says Doug Dussault. And migrate? Indeed. “Very slowly,” Dussault notes. Some well-known chefs agree. 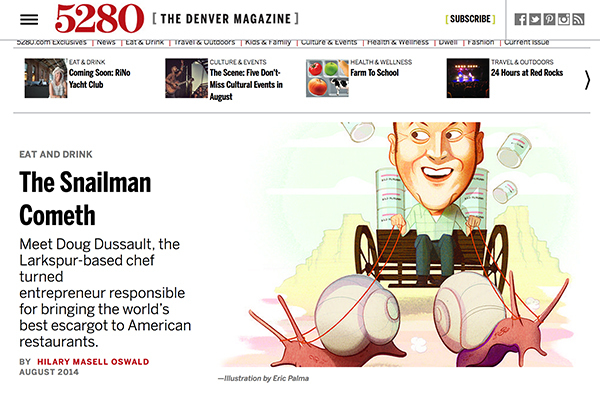 Cut from their shells, poached in court bouillon and canned, Dussault’s snails are delivered to an impressive list of admirers, including Daniel Boulud, Michael Tusk, Marc Vetri and Suzanne Goin. 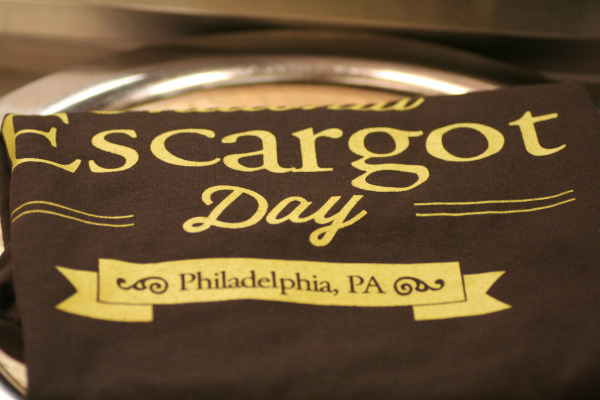 As much as we love classic escargots à la bourguignonne, it’s exciting to see how chefs are thinking beyond garlic butter. Snails fill the ravioli at Girl and the Goat, the pasta sauced with a reduction of pork braising juices, bacon and tamarind. At Boston’s Toro, beer-braised snails are sprinkled atop fava been purée, grits and slices of pork-and-sweetbreads sausage. 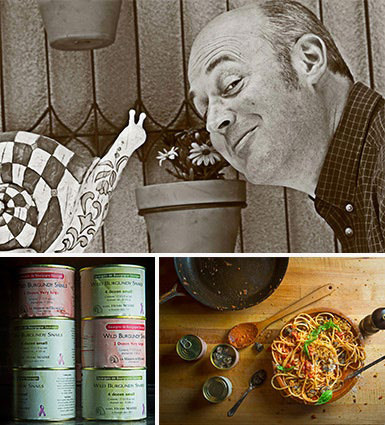 “The fun part,” says Le Pigeon’s Gabe Rucker, “is taking the classic flavor pairings and tweaking them.” His idea of fun is a rice porridge studded with helix pomatia and nubs of chicken-snail sausage, accompanied by familiar bedfellows, parsley and garlic. Next up, an Endive and Radicchio Salad with Snails and Toasted Hazelnuts (see the recipe). Bright and interesting, it’s just the thing for to make an escargot enthusiast out of anybody.